The Better Business Bureau is a private, nonprofit organization that is dedicated to promoting fairness and honesty in the marketplace. 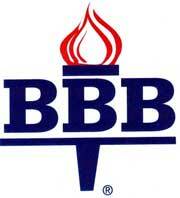 The BBB profiles a company's services and provides a business reliability rating, which is an overall opinion of how the company deals with its customers or clients. This is a free service and an important source of information that allows the consumer to make an informed decision before retaining the services of a specific company. If you would like to see Mexbound.com BBB standings click here.